Alistair O'Neill co-curated this exhibition celebrating the life and work of Valentino showcased over 130 haute couture designs worn by icons such as Jackie Kennedy Onassis, Grace Kelly, Sophia Loren and Gwyneth Paltrow in an installation created specially for Somerset House. 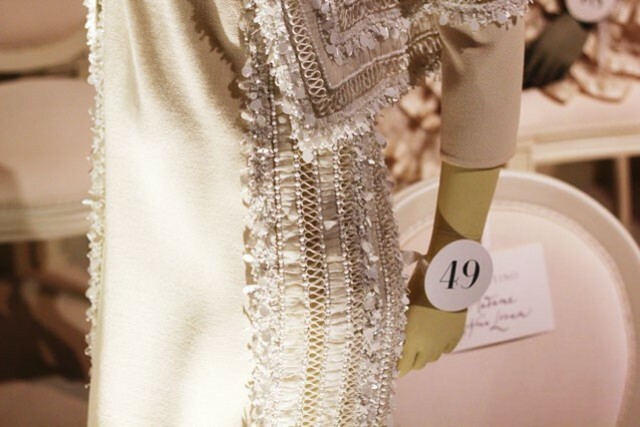 Divided into three sections; visitors started with a private view of Valentino's world through photographs from his personal archive, offering an intimate portrait of the life of the master. The exhibition then unfolds into a couture fashion show where roles are reversed with visitors walking the catwalk to view one hundred and thirty Valentino haute couture designs. The final section unpicked the painstaking processes of crafting couture exemplified by the wedding dress of Princess Marie Chantal of Greece, demonstrating the work of les petites mains who sew each stitch by hand. In addition a specially commissioned group of films allowed behind-the scenes access to the Valentino atelier, where the craft of couture was demonstrated in a series of samples.